Eligible and willing candidates are requested to send their bio-data in the enclosed format by email to jrfucendst@gmail.com. 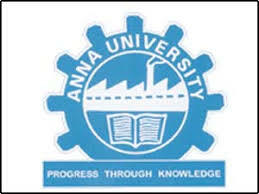 Selected candidates can register for Ph.D in Anna University. The applicants are also requested to send the hard copy of their application to Dr. K.P. Vinod Kumar Assistant Professor, Department of Chemistry, University College of Engineering, Anna University Constituent College, Konam, Nagercoil – 629 004. The application envelope should be super scribed as "Application for the post of JRF - DST - SSTP/FISH/2018”.